Strong, but - thanks to a special tanning process (oil-tanning) - also very supple full grain leather with an interesting and highly textured surface and feel. Oil-tanned leather is created by treating leather with fish oil which then oxidises. 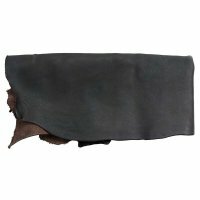 This tanning method is generally used for very strong leather. It involves the use of oils derived from fish because they contain a specially high percentage of unsaturated fatty acids not generally found in other animals. Once inside the leathers’ fibres, these fatty acids combine with oxygen (oxidation) and produce this special tanning effect.